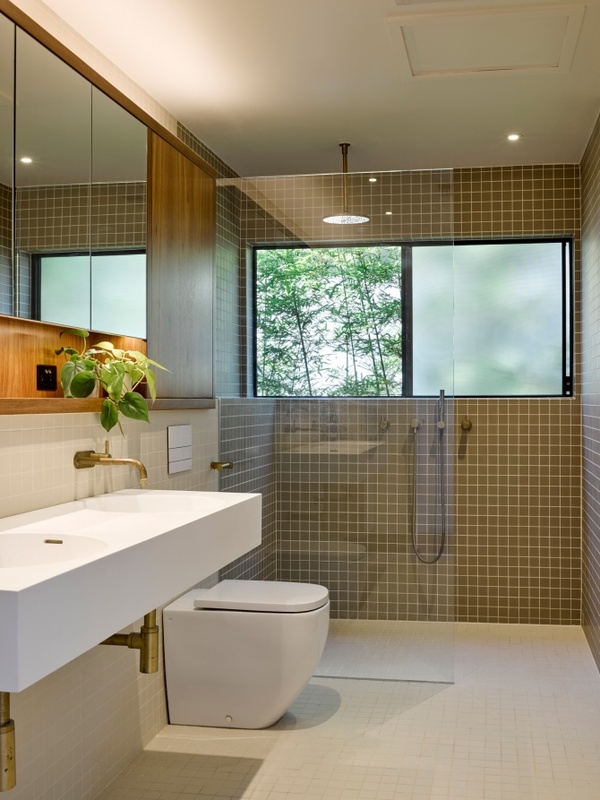 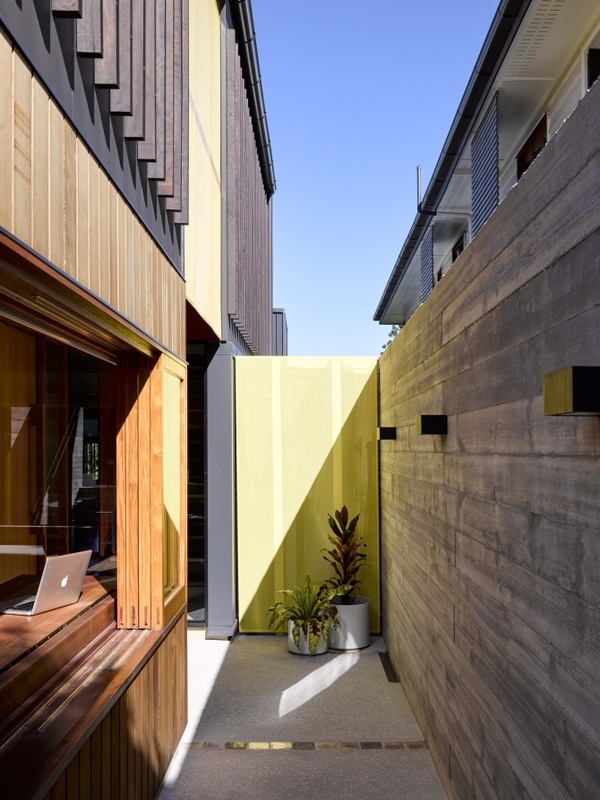 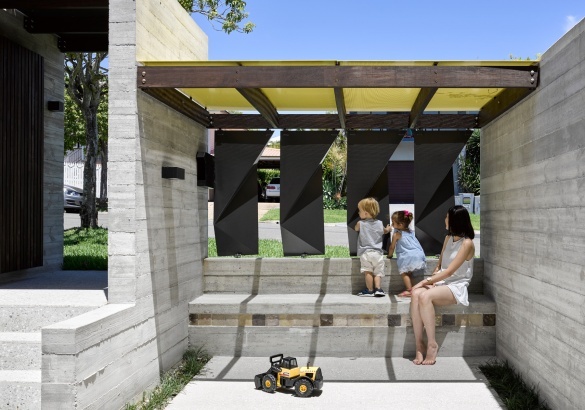 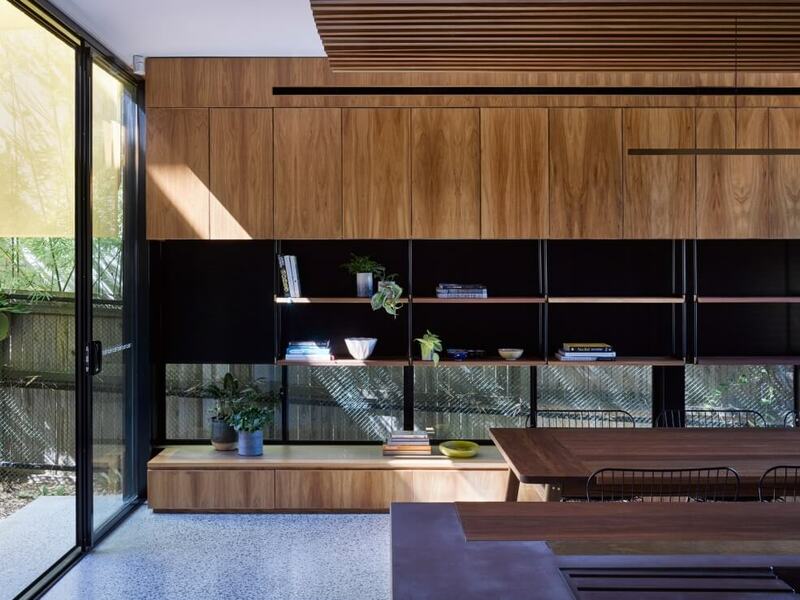 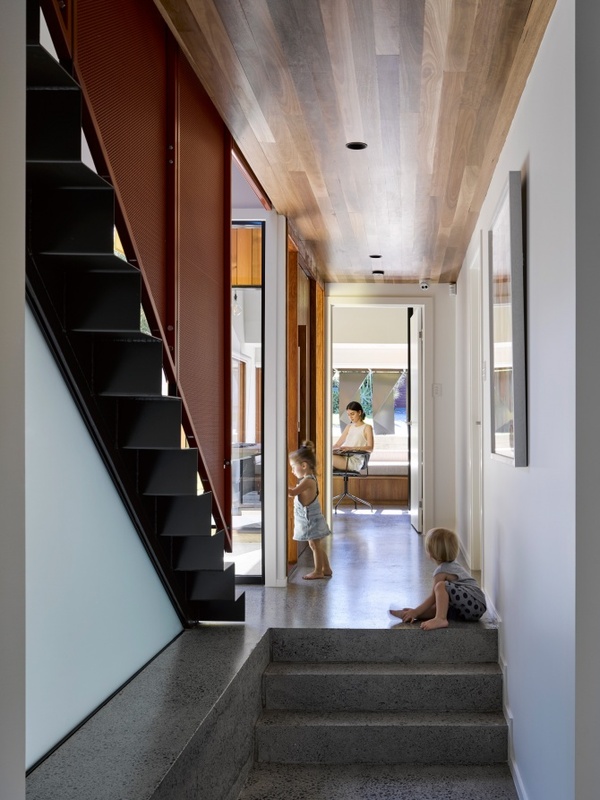 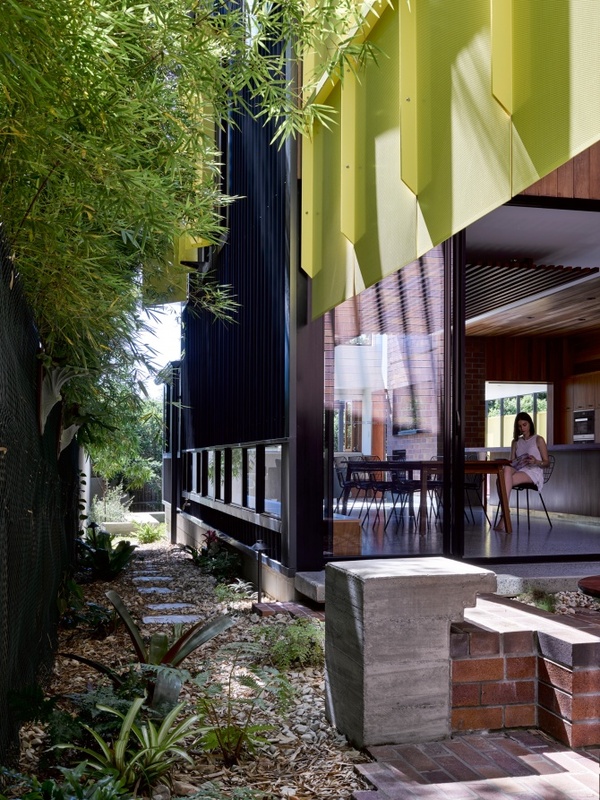 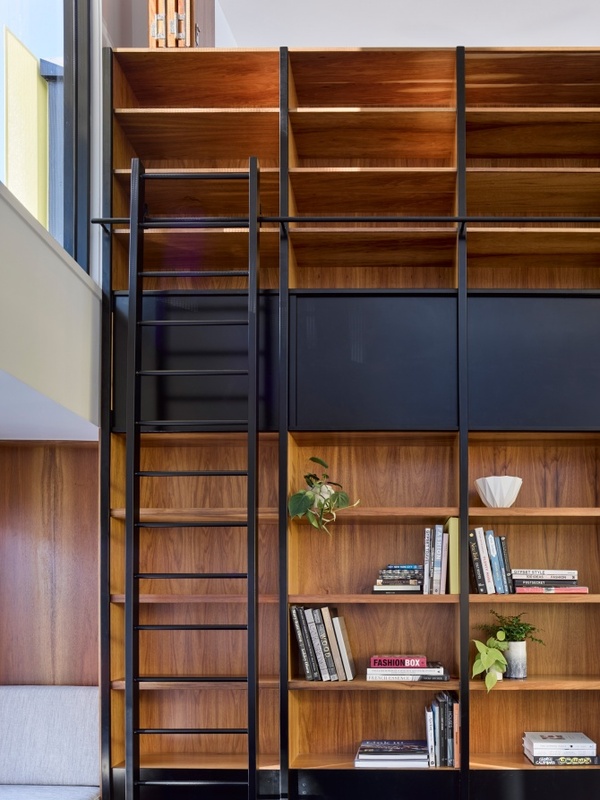 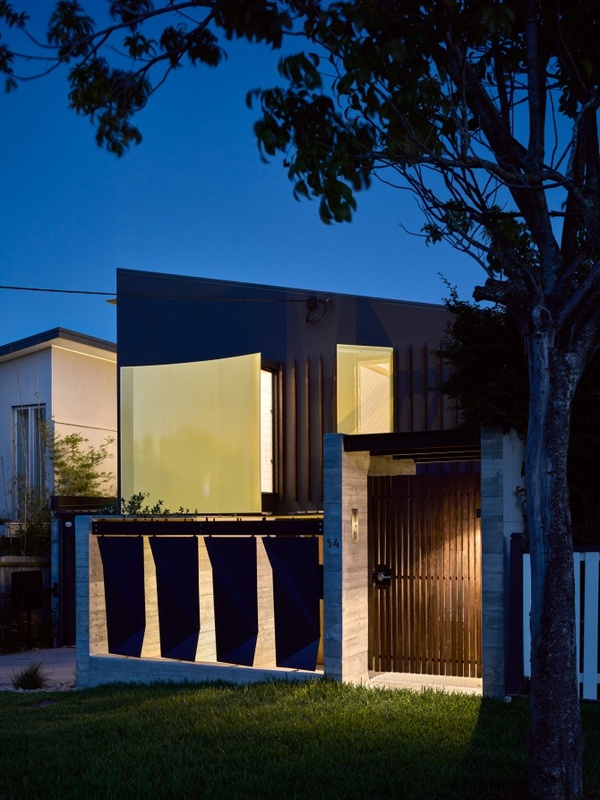 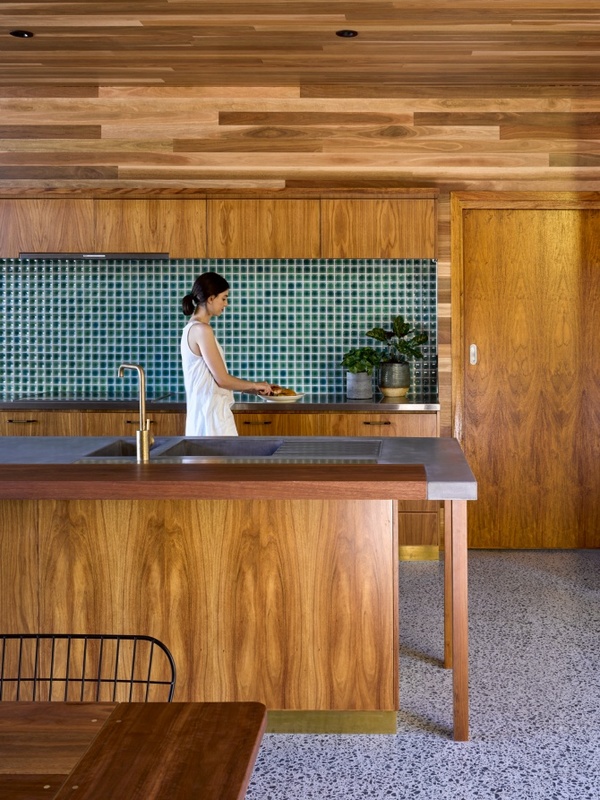 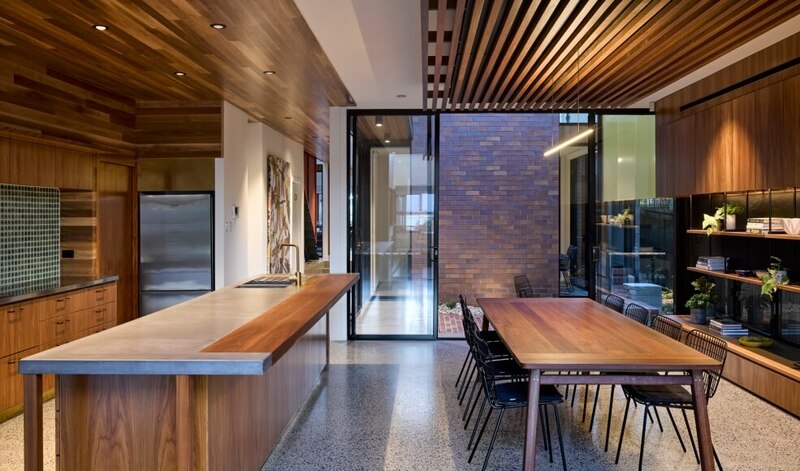 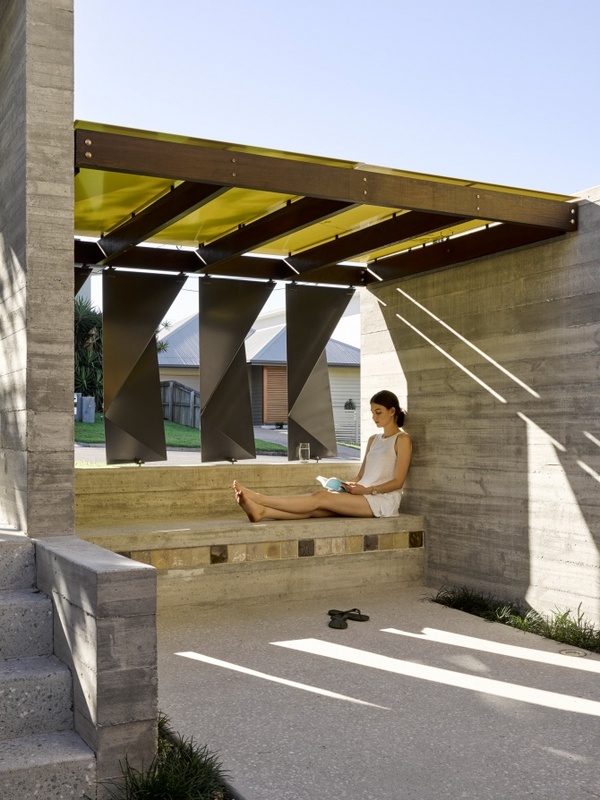 Intimate and generous garden and court spaces weave through the house bringing the interior in constant connection with the outside – providing a range of garden spaces for sitting, kids play and veges. 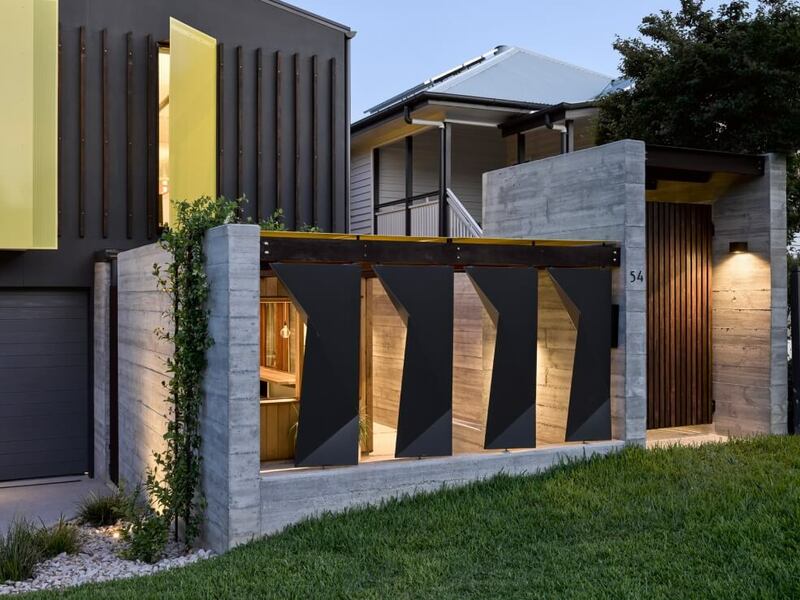 The robust expressive use of steel, concrete and brick is softened by the warmth of timber and brass and the bold use of colour. 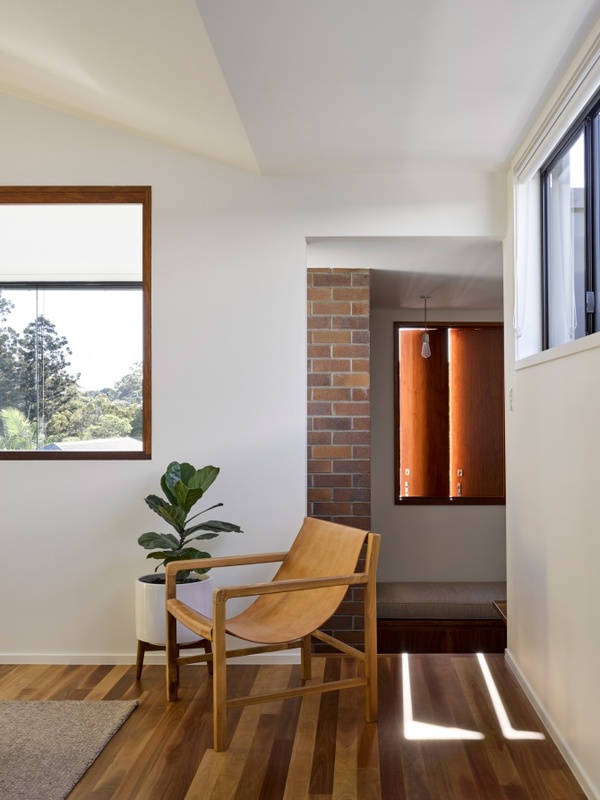 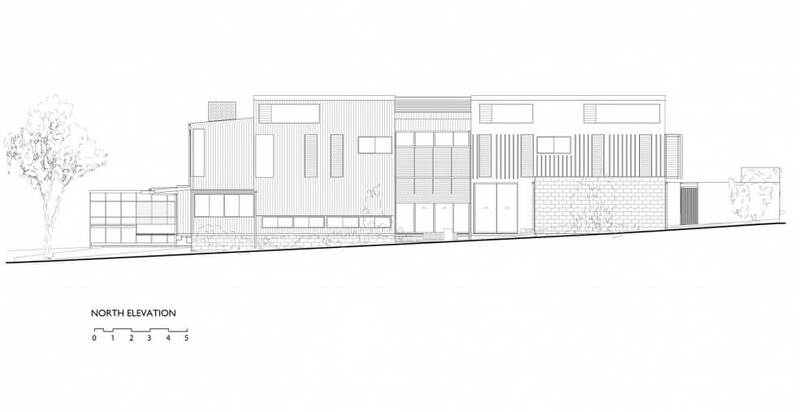 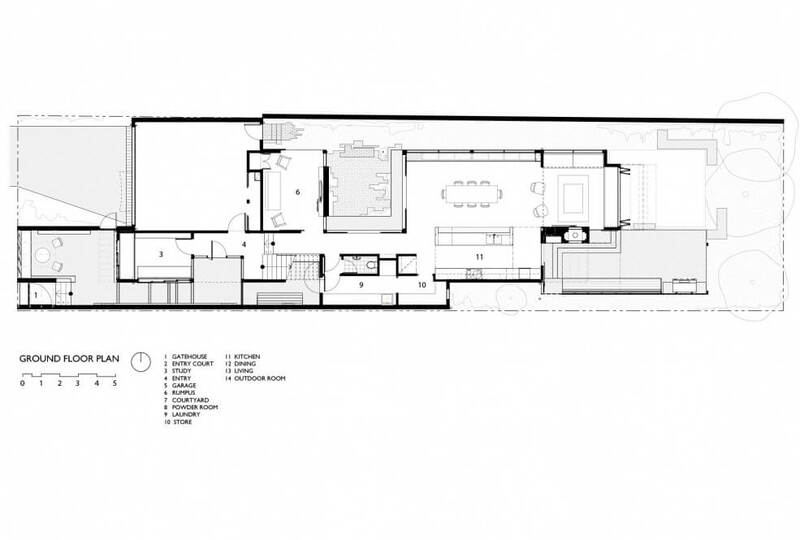 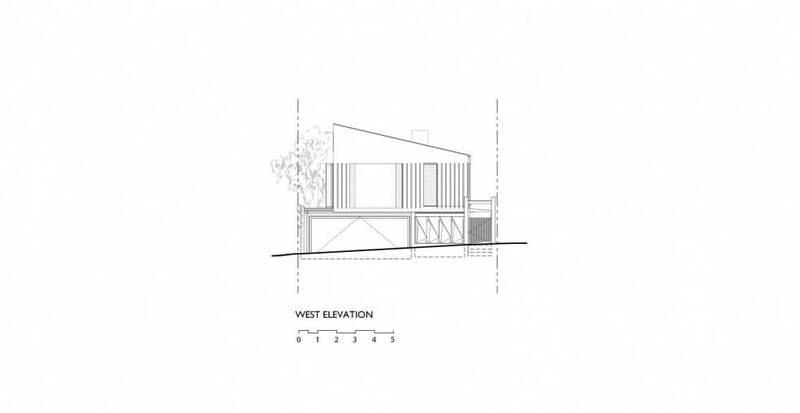 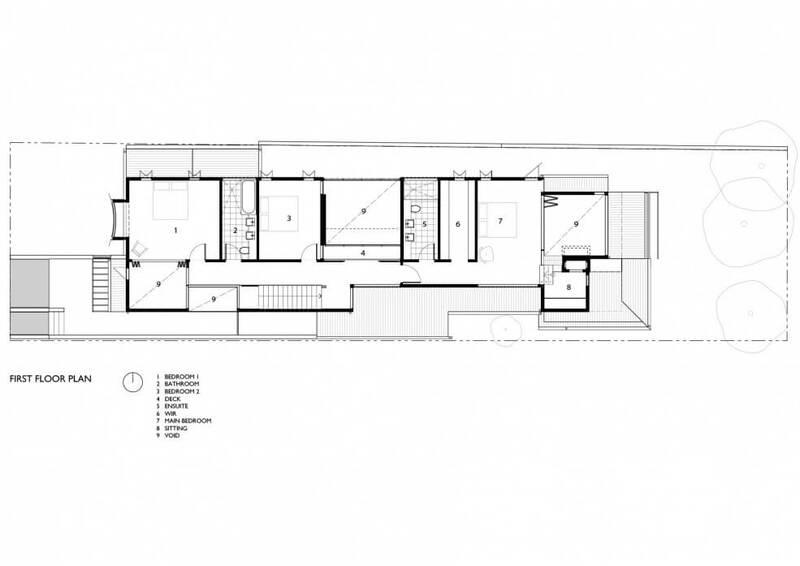 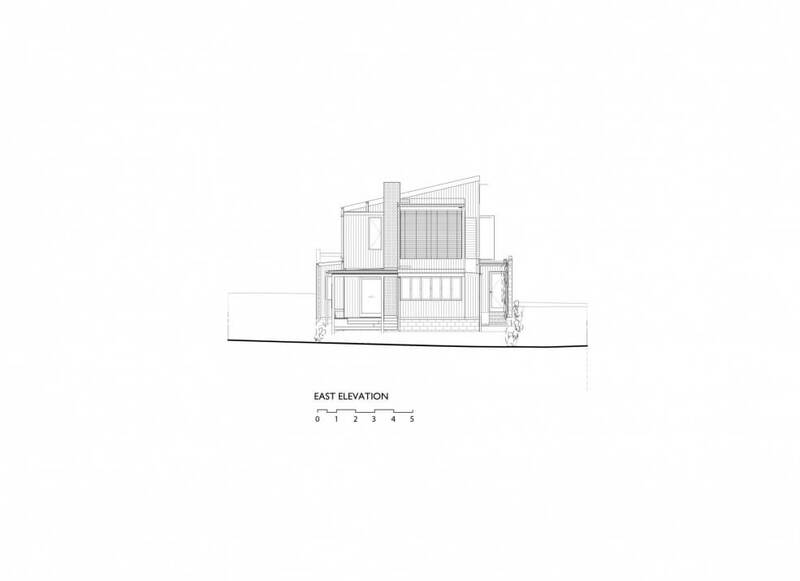 Functional and simple, the planning of the house keeps the service spaces discrete and ensures that all the living spaces and bedrooms enjoy lots of north light and access to winter sun. 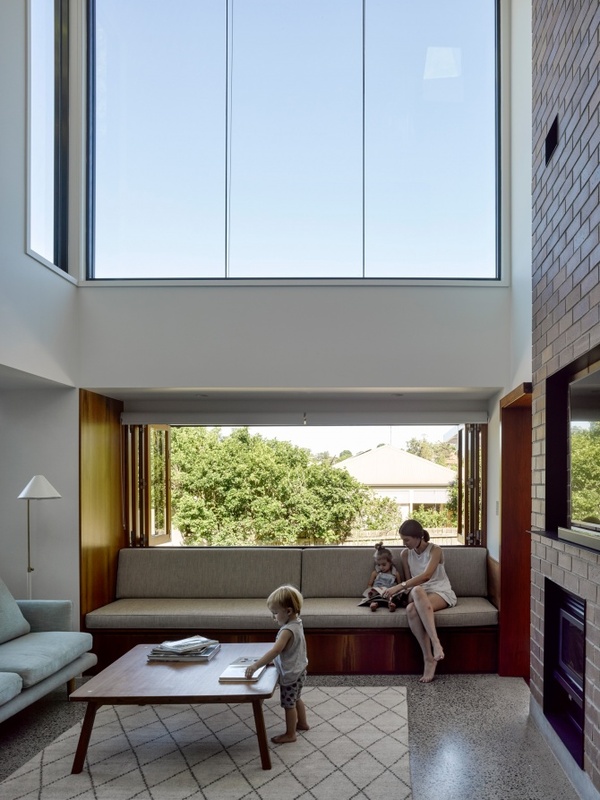 The design facilitates energy minimisation with lots of natural light, hot air venting through high level windows and well shaded living spaces kept cool by the thermal mass of the slab-on-ground construction.